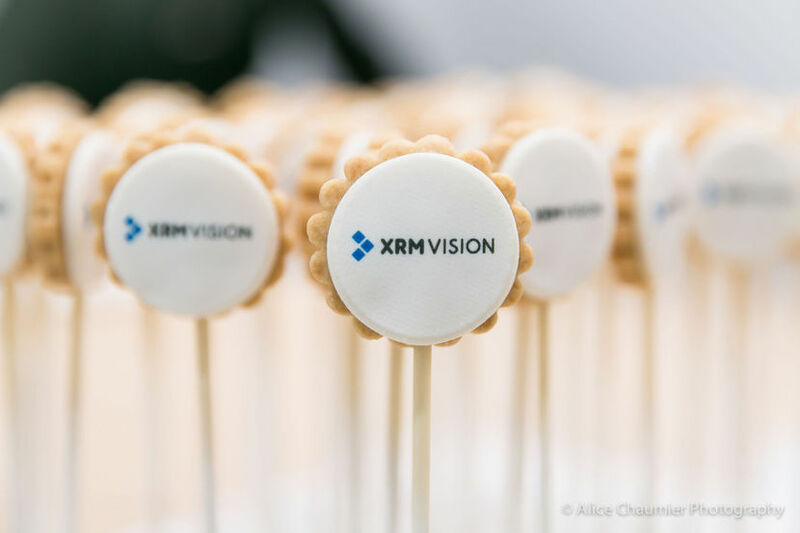 Last evening, XRM Vision celebrated its 10th anniversary! The progress we have made since 2008 is impressive. 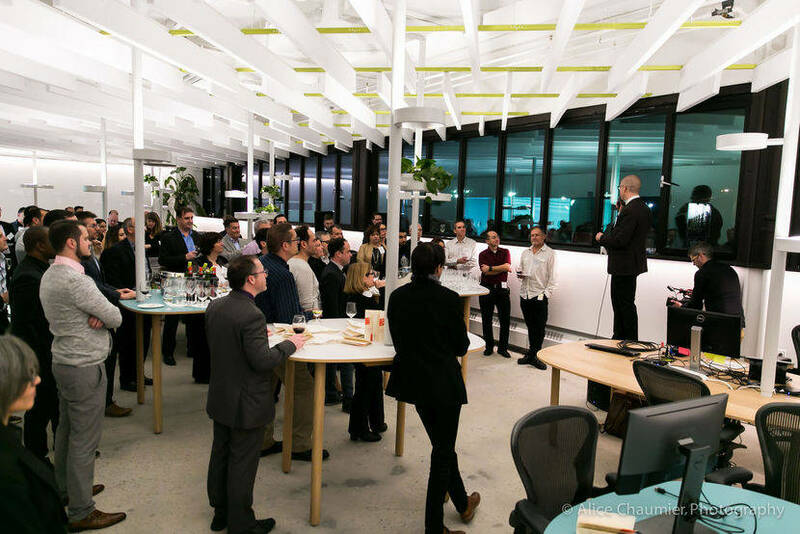 Partners, collaborators, customers and employees all gathered in large numbers in our new offices to celebrate this event. Upon their arrival, guests were greeted and were given a booklet. 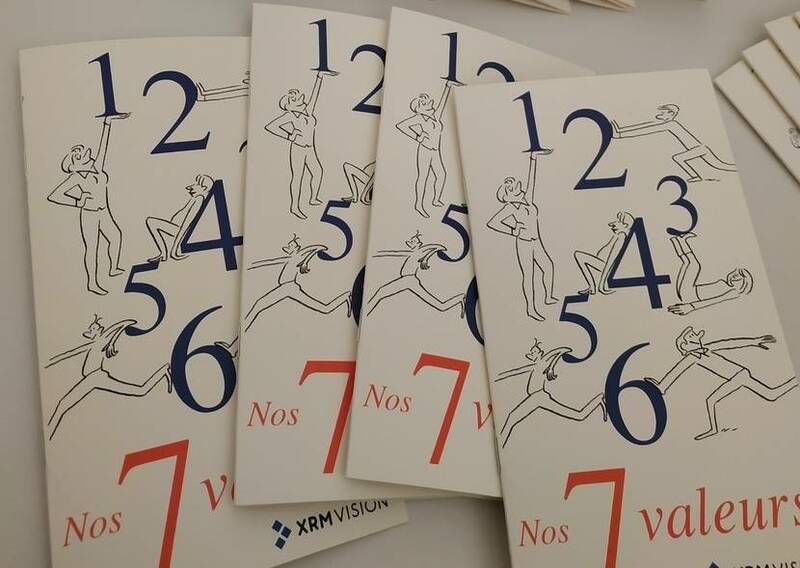 Opening this booklet made you discover all of the values that have guided XRM Vision through its journey. These values will continue to represent us in all of our future projects! The pages seemed to make each word come to life. This is due to the talents of illustrator Cyril Doisneau, who drew characters that were associated with each word! It was a very special dedication that was received at the back of this booklet. 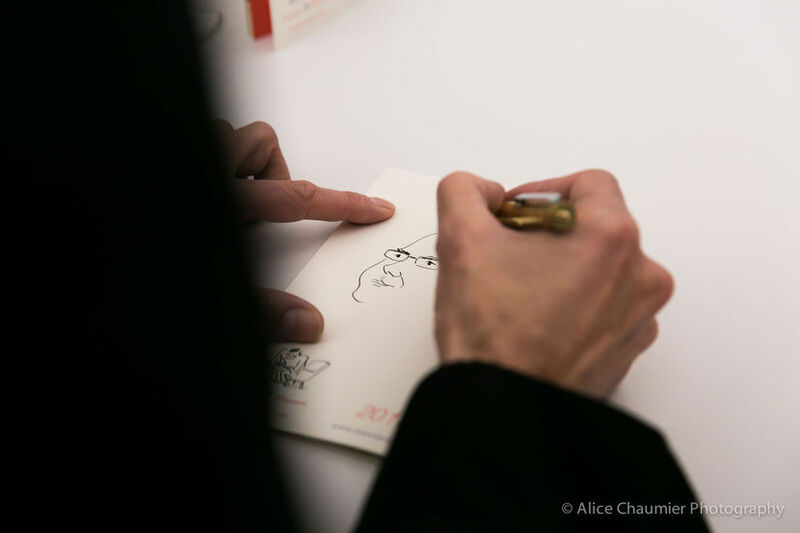 Artist Cyril Doisneau, who illustrated the history of XRM Vision, was sitting at the table with his drawing material. Within a few strokes of his pencil, he would complete the last page of the booklet with you as you went to sit with him. Your portrait, a West Coast landscape, a heavenly beach? Special requests were encouraged! Or you could give way to his sensitive and playful imagination. 3- The new XRM Vision offices have finally been inaugurated! 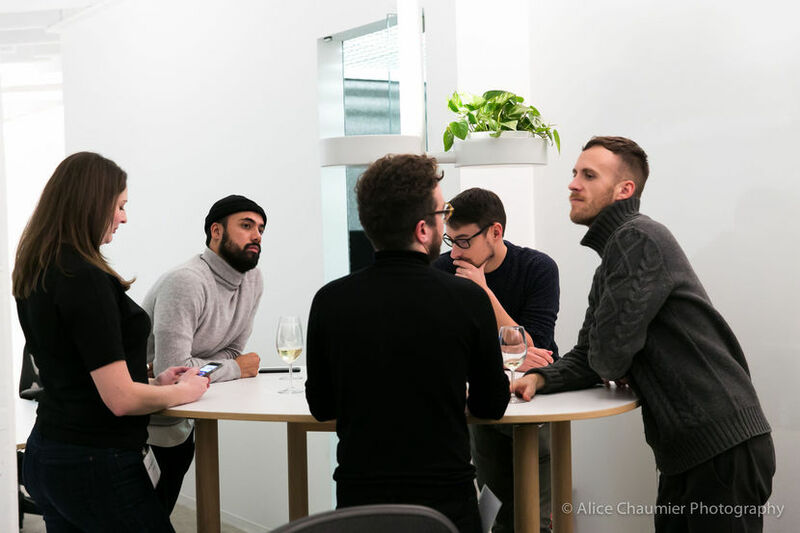 The work environment has an incredible impact on the team. Increasing the size of our premises by three times the size, has allowed us to put the human being at the heart of the space. La SHED architecture was behind this magnificent design. Their team was on site yesterday to participate in the inauguration of our new offices. Look how well they occupy the space! It is their work after all! 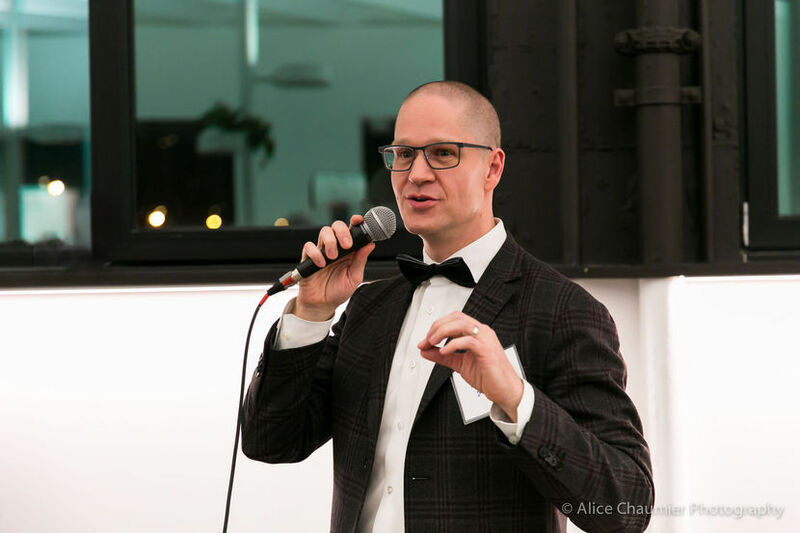 Our president and founder, Félix Robitaille took the microphone and thanked the different clients, and partners such as Microsoft, he also thanked the collaborators, particularly the XRM Vision team who has made all of this possible. The team also wanted to thank Félix and offered him a watch to celebrate the moment. The watch also represented the story of time when the longest working employee, Dominique Roger and the most recent employee Valérie Durand were both invited to come together and finish the speech. Prosciutto with marinated olives and candied onions… because we need to please the foodie lying within each of us! And shortbread XRM Vision cookies for dessert! XRM Vision would like to extend a warm thank you to all those who participated in this event, which will be a cherished memory for us over the next decade. XRM Vision welcomes Jérôme Jondeau in the role of project manager!